Even just in the context of retailing, it has many meanings. To some, it can mean working with those you would traditionally see in a commercial relationship as your adversary. To others, collaboration is about one party complying with the needs and requests of the other party. While to others, it can mean working together towards one common purpose for the benefit of each party. 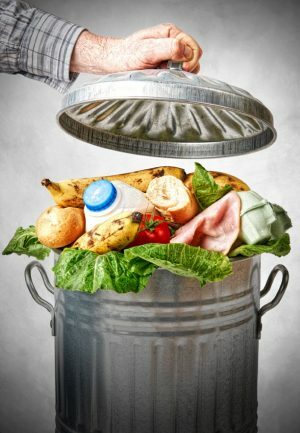 Given the sheer number of mentions of collaboration in retail publications, conferences, and talks, the ECR Community Shrinkage and On-shelf Availability Group felt there was an opportunity to bring some clarity and definition to what is really meant by collaboration, with a particular focus on reducing food waste in retail. To this end, a team of academics and practitioners from the world of fast-moving consumer goods (FMCG) manufacturers and retailers have been working together in recent months, with the support of food waste experts from Oliver Wyman, to identify the true “DNA” of collaboration. In this post, we detail why we chose food waste as the focus of our research on collaboration. We share what we have found to be some of the key barriers to collaboration and then some of the early insights from the project. We will close by describing a possible next step for retail loss prevention professionals in the full version of this article (“Collaboration on Food Waste Reduction“). 1. Food Waste Matters. One-third of food produced for human consumption is wasted. It is now an industry priority, and bold waste-reduction targets have been set by a number of bodies, including the Consumer Goods Forum. In short, food waste is not only highly relevant to our member organizations and the shoppers they serve, but also seen as a priority by senior business leaders who have called out improved collaboration as a strategic priority. Thus, it made sense for the ECR Group to focus this project on food waste. 1. Incentives. The reward and recognition schemes for most suppliers’ category managers and retail buyers do not include food waste, thus collaboration is rarely included as a metric or consideration in their assortment discussions, annual contracts, or daily interactions on supply. 2. Competing Internal Priorities. Fresh suppliers are being asked to collaborate with multiple stakeholders within each of their customers, each with slightly different requirements that have different impacts on food waste. By way of example, the supplier and the supply-chain manager of a retailer may wish to increase the case counts from 24 units per case to 48 units to reduce packaging costs and the number of journeys to the store. However, the supplier’s category manager and the retail buyer may want smaller case counts from 24 units to twelve units to increase sales and the depth of distribution. If retailers and suppliers cannot be perfectly aligned internally on their requirements, collaboration will be problematic. 3. Data Sharing. Collaboration can only happen when data is shared, yet accessibility to the right level of inventory, food waste, and sales data by store and by SKU is a barrier, with some retailers choosing as a principle not to share data. 4. Benefit Sharing. While multiple case studies consistently demonstrate that collaboration can unlock huge value, often projects can stall at the very start when organizations fail to reach agreements on how to split any benefits that may be realized. 5. Consistency and Capacity. Collaboration is about long-term thinking; however, suppliers’ category managers and buyers are often tasked to think short term. Further, the capacity required for collaboration, in terms of days and hours, can simply not be available. There is much that retailers and producers can do to reduce food waste from grocery stores without the need for collaboration with other organizations. However, there are also some transformational changes that can only be delivered when organizations collaborate. Below are a few examples. Joint product innovation from initial conceptualization to eventual product launch that considers and designs in potential food waste reduction benefits, for example, longer shelf life, shorter supply chains, or reduced case sizes. Joint development of range and planograms by type of store and format using metrics such as the fresh case cover (FCC) that can prevent food waste. By way of explanation, the FCC “score” is a function of the weekly sales rate, the shelf life, and minimum case sizes, and can help the range and space planners identify the SKU/store combinations with the greatest risk to food waste from grocery stores. To mitigate that risk, the planners can reduce the range to potentially increase the sales rates of each remaining SKU. They can seek ways to extend shelf life or work with the supply chain to reduce minimum case sizes. Joint development of innovative packaging and display fixtures that can improve shelf life and give the impression of abundance without the need for excessive volumes of product on display and the consequent higher risk of food waste. Joint forecasting of forward sales through the combination of available information that also includes past waste performance data. Joint planning of promotional volume to also include using food waste data from previous promotions. Joint short-term demand generation activities to sell excess quantities to the consumer to try and avoid waste. Case Study 1. One retailer responded to the news from its suppliers of a bumper harvest of cauliflowers with the development of new in-store demand-generating promotions (recipes, extra displays, and price discounts) that helped sell through to the shopper the more-than-forecasted volumes, ensuring that produce was sold, and not left to rot. Case Study 2. One manufacturer worked with a retailer to create a new product made up of unused raw materials, thus saving those materials from being wasted. This new line item is now being sold in the retailer’s stores. Case Study 3. One manufacturer and retailer partner worked together to improve the percentage of every crop that was purchased by consumers by repurposing and processing the off-standard and oddly shaped products into other products such as ready-made meals and frozen varieties of the product that would then be sold in the retailer’s stores. This collaboration prevented significant quantities of product being fed to animals or thrown away while also improving profitability for both organizations. While the ECR Group has yet to finalize the full details of the maturity model, three major findings have already emerged from the research. Awareness that food waste reduction is critical to the achievement of the company’s corporate goals and must be prevention focused and end to end—from farm to fork. A vision and an alignment on how to systematically share sales and food waste data. Confidence that there is a business case for collaboration that ensures a win-win for both suppliers and retailers. An approach that is well structured with aligned rules of engagement for collaboration. Promote internally a collaborative mindset where multidisciplinary thinking and collaboration are actively fostered and incentivized. Identify the right people in the right positions to be dedicated to delivering successful collaborative work. Ensure there is full transparency of key performance indicators, such as cost and time, across the whole supply chain. Ensure the full availability of timely, accurate, and formatted inventory data. Invest in state-of-the-art data systems that allow for seamless interaction between each organization with strong user acceptance. Invest in state-of-the-art professional mid-to-long term forecasting systems for volume planning and utilization across the supply chain. The overall size of the joint businesses. The legacy and levels of trust from previous collaborations. The relevance of the category sales volume to each organization. The significance of the waste reduction opportunity for the category to each organization. There is buy-in and prioritization of the collaboration effort by senior management. There are clear, tangible, and measurable objectives in place. There is clarity on benefit allocation to all parties, both within organizations as well as between third-party organizations. There is capacity for collaboration and the right level of seniority, experience, and tenure in the teams, with a good balance across functions and organizations. There is clarity on roles and responsibilities, with a clear responsible, accountable, consulted, and involved (RACI) model for each major change intervention. There is good chemistry between the teams, ensuring high-quality cross-team exchanges and mutual trust. There are frequent and disciplined joint meetings. There are commonly defined key performance indicators (KPIs) being reported. There is a shared incentive system supporting aligned behaviors and common goals. There is regular and seamless exchange of predefined data sets. Check out the full article, “Collaboration on Food Waste Reduction,” to learn more about the implications of this research and possible next steps for loss prevention professionals. EDITOR’S NOTE: This article first appeared in the Autumn 2017 edition of LP Magazine Europe.